Linus Pauling (February 28, 1901- )*, the only person who has won two undivided Nobel Prizes,1 was born in Portland, Oregon, the son of a pharmacist, Henry H.W. Pauling, and Lucy (Darling) Pauling. He attended Washington High School in Portland but because of a technicality did not receive his diploma until 1962, long after he had received his bachelor's degree from Oregon State College in 1922, his doctorate from the California Institute of Technology in 1925, and honorary degrees from universities in seven countries. When the Soviet Union announced a resumption of nuclear testing in August, 1961, after the nuclear powers had voluntarily withheld testing for three years, Pauling redoubled his efforts to convince the Russian, American, and British leaders of the necessity of a test ban treaty. He spoke as a man of science. His intellectual position is summarized in a communication published in Harper's Magazine4 in 1963: "I have said that my ethical principles have caused me to reach the conclusion that the evil of war should be abolished; but my conclusion that war must be abolished if the human race is to survive is based not on ethical principles but on my thorough and careful analysis, in relation to international affairs, of the facts about the changes that have taken place in the world during recent years, especially with respect to the nature of war." The Atomic Age: Scientists in National and World Affairs, edited and with Introductions by Morton Grodzins and Eugene Rabinowitch. New York, Basic Books, 1963. This collection of articles from the Bulletin of the Atomic Scientists, 1945-1962, includes two by Harry Kalven, Jr., on Pauling's Congressional hearings (pp. 466-493), as well as some articles by various scientists referred to in the presentation and lecture. Biological and Environment Effects of Nuclear War. Hearings before the Special Subcommittee on Radiation of the Joint Congressional Committee on Atomic Energy, June 22-26, 1959. Washington, D.C., U.S. Government Printing Office, 1959. Current Biography Yearbook. New York, H.W. Wilson, 1964. Gilpin, Robert, American Scientists and Nuclear Weapons Policy. Princeton, N.J., Princeton University Press, 1962. Jacobson, Harold Karan, and Eric Stein, Diplomats, Scientists, and Politicians: The United States and the Nuclear Test Ban Negotiations. Ann Arbor, University of Michigan Press, 1966. Jungk, Robert, Brighter than a Thousand Suns: A Personal History of the Atomic Scientists [Heller als tausend Sonnen], translated by James Cleugh. New York, Harcourt, Brace & World, 1958. Pauling, Linus, The Architecture of Molecules. With Roger Hayward. San Francisco, Freeman, 1964. 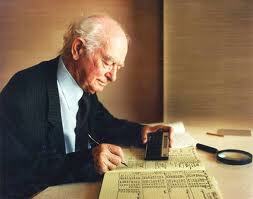 * Linus Pauling died in 1994. 1. The Nobel Prize in Chemistry for 1954 and the Peace Prize for 1962. Marie S. Curie won the Prize in Chemistry for 1911 and shared the Prize in Physics for 1903. 2. The book won the I971 PBK Book Award in Literature of Science. 3. Detailed accounts of Pauling's activities in connection with the effort to secure an international agreement to ban nuclear testing are given in the presentation speech and in the Nobel lecture. 4. Harper's Magazine, 226 (May, 1963) 6.